You can still grab these hot Full Circle Deals! 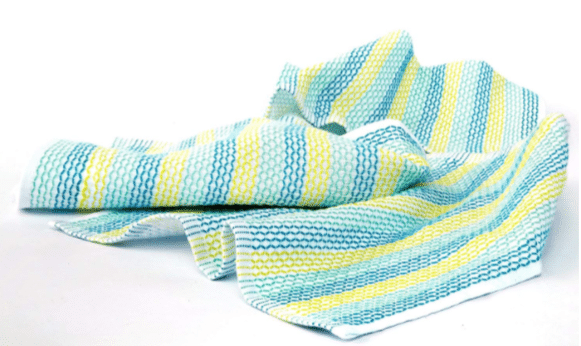 Amazon has a huge price cut on the 5-star reviewed Full Circle organic cotton dish towel! This dish towel normally sells for $6.99, but when you choose Subscribe and Save, you can get this towel for $3.33 (or $3.50 is you have less than 5 S&S items)! I can attest to the reviews on this towel. I bought this towel several months ago and it is a really high quality, soft and absorbent dish towel. I love that it’s made from 100% organic cotton. I grabbed another one at this price. We use this as a hand towel and to dry dishes. If you don’t choose Subscribe and Save, the price is $3.50 and the minimum quantity is then 3 (no minimum quantity with S&S). While you’re there, pick up a set of 3 Full Circle 100% organic dish cloths for just $4.60! I also own these and just bought some more as they last a long time and are also made from 100% organic cotton. I love the cute design too! Keep in mind, the dish cloths are an add-on item, so you’ll need to order this set as part of a $25+ Amazon order. Check out more Amazon deals to reach the $25.